The Sri Lanka Tourism roadshow in Chandigarh, organized by the Sri Lanka Tourism Promotion Bureau (SLTPB), has concluded on a high note with attendance of approximately 150 respected guests and dignitaries, not just from Chandigarh but also from neighboring cities like Ludhiana, Karnal, and others. The event started with B2B meetings, followed by presentations by the Tourism Promotion Bureau and SriLankan Airlines. The event was attended by Ms. Upekkha Samaratunga, Minister (Commercial) for the Sri Lanka High Commission in New Delhi; Mr. Viranga Bandara, Assistant Director of the Sri Lanka Tourism Promotion Bureau; Mr. Chinthaka Weerasinghe, Manager- Northern India of SriLankan Airlines; and other respected dignitaries. The roadshow in Chandigarh is a part of Sri Lanka Tourism’s 7-city roadshow in India, and Chandigarh is the first city in this series. He further said that currently, Sri Lanka Tourism is exploring new kinds of promotions similar to that of the ongoing MasterCard campaign. Plans are underway to jointly work with airlines and tour operators to promote the destination more aggressively. The participants from Sri Lanka included Apple Holidays, Jetwing Travels (Pvt) Ltd., Asian Adventure Travel Management company, HTCEY Leisure Pvt Ltd., Walkers Tours Limited, Hamoos Travels, Karusan Travels, Luxe Asia, Green Holiday Center, Riu Hotel & Resorts, Bernard Tours (Pvt) Ltd., Lanka Reisen Ceylon (Private) Limited, Exotic Global Holidays, Esna Holidays Pvt Ltd., B.O.C. Travels (Pvt) Ltd., and Travelwind Holiday Pvt Ltd., along with Sri Lanka Tourism officials and SriLankan Airlines’ officials who showcased unique tourism offerings, latest developments, and exclusive products for the India market. Chandigarh is one of the most important cities in terms of the outbound tourism market of India and has one of the highest per capita incomes in the country. This road show is expected to further strengthen tourism relations between travel partners of both countries and aims at increasing the traffic of HNIs and high-affluent Punjab travelers to Sri Lanka. Sri Lanka has seen substantial growth in tourist arrivals from India in the year 2017, with over 3.84 lakh Indian travelers. This makes India one of the top 5 tourist arrival markets in Sri Lanka. Also, Sri Lanka is one of the top 10 holiday destinations for Indian travelers, so with this roadshow, the Tourism Board is looking forward to extending its reach beyond metro cities of the country. 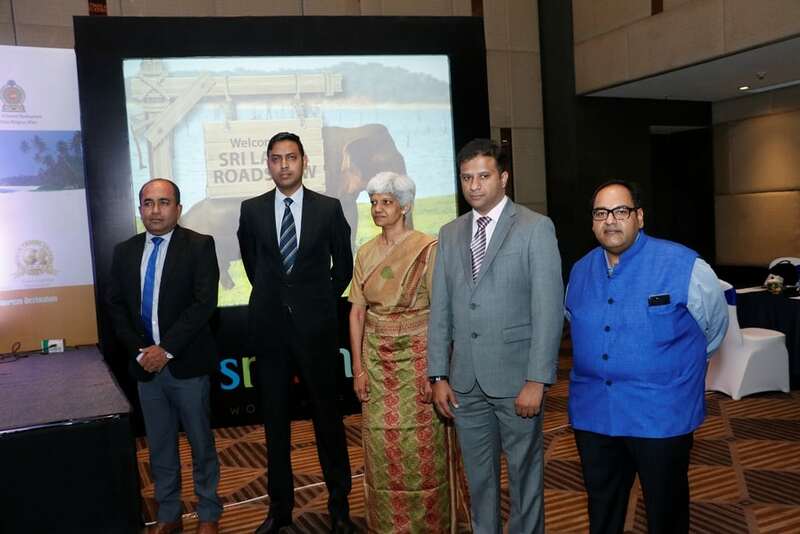 This 7-city roadshow aims at strengthening tourism relations between travel partners of both countries and is part of SLTPB’s strategic efforts to promote Sri Lanka as the most preferred short-haul holiday destinations for Indian travelers.